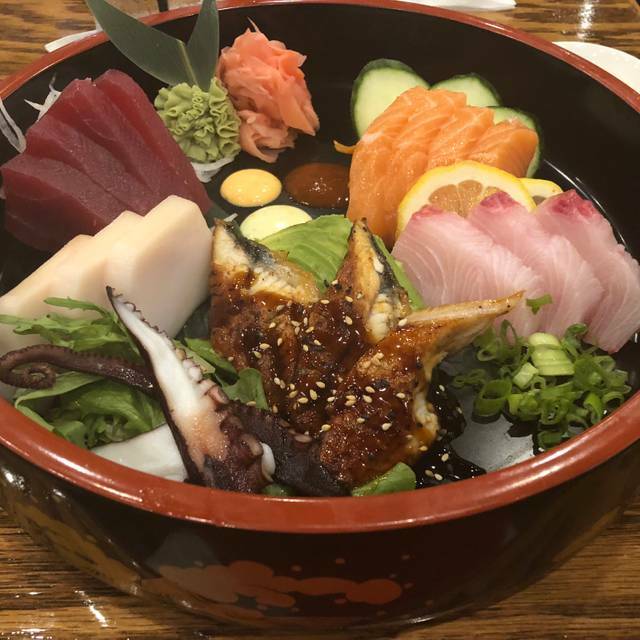 Dao Restaurant is the latest offering from the owners of Azu Restaurant, building on more than 40 years of experience in serving the finest in Japanese, Sushi, & Asian Fusion Cuisine to Tallahassee. If you like MASA, you'll like DAO. Nice Atmosphere, and good food. I know I'll be going back. We always get great food here. One of our favorite places to eat! The ambiance is wonderful spacious and tasteful. The food as always excellent. We can highly recommend this restaurant. Our waitress Caroline was amazing! Best tuna tartar in town. Great service and great food. The restaurant overall was a little noisy but not such that you couldn't hold a conversation with other folks in your party. The sushi had a frozen taste to it. When I complained about the bad taste to my server nothing was done except her asking if I wanted a box to take it home. The Surf N' Turf roll was beyond huge and fell apart with one bite. It was almost inedible. We were double charged for drinks. Our server rarely came by to refill drinks. Over all I would pass on this place. The Sunday Brunch Buffet was the primary reason for the visit to Dao. Specifically the sushi and sashimi offerings made the$18.95 buffet a great value alone! The hot foods were also fresh and tasty as well but unfortunately I did not try any of their desserts. So for a great brunch buffet I do recommend Dao! Great restaurant. Love the round tables for group of friends. Excellent food and service. The wait staff was very attentive. Soooooo yummy!! Love that it is the perfect place to go with our family or on a date night! Delicious food every time we've been there. Tried the buffet last Sunday and it was great! Anything you could want. We made reservations. When we arrived, the host was prompt. However, we were placed at a wobbly table. The waitress later moved use upon request. We ordered Peking duck but they were out. So, I ordered the crispy orange duck dish. My wife ordered the grouper. The fish was dried out and soaked in a sauce to camouflage the dryness. She graciously ate half of eat. My duck had NO seasoning on it. It looked as if it was boiled then sat under a heating lamp for a few hours. The orange sauce was on the side! I thought the duck would be cooked in the sauce! My wife and I tasted the duck and were appalled! I immediately asked the waitress to return it. Speaking of the waitress...she didn’t know the menu well and brought us something that we didn’t ask for and we expected us to eat it and pay for it! I later ordered the salt and pepper beef. It was better but not good. Needless to say, we spent about $80 our first Valentine Day date (newly weds). :( . Don’t plan to return. Unfortunately service was very lackluster this evening. Food was very slow to come out, the waitress didnt know the menu and it was extremely crowded. Didnt help that we were seated by the entrance so the people waiting for tables kind of overflowed to ours. We tried to order 2 scallion pancakes with 1 sauce and we were told that we couldn't do that even though we have been to Dao over a dozen times and have ordered this. Waited 45 minutes for our food and during that time we were not checked on by our waitress. Next time we will head to Masa or Lucy Hos. Similar food but much better service! Other than the restaurant not having any indication that I had a reservation, everything else was great. I was able to look at my phone and show where I confirmed the reservation with a 1 on the text message, so, there was no problem in seating the group. We were a table of 10 for Chinese New Year celebration. The food was outstanding as one has come to expect from a Lucy Ho restaurant. The place was packed so the noise level made it difficult to talk to all at our table. Our table had a long bench along a wall, so it was difficult getting in and out to go back to the buffet, but for a menu meal it’s probably fine. I wish the Peking duck had had crispy skin and scallions. I will definitely go back, though. Highly recommend. Large selection of food on the buffet. Everything was exceptionally good. Would highly recommend. The food was fresh and delicious. Couple with us would have liked decaf coffee or tea and it wasn’t available. Maybe you could add that. LOVE Dao! Great food. Especially like the Sunday brunch buffet!! Nick was our waiter and he was excellent! Give him a raise!!! Everything was wonderful but it is a bit noisy. We will certainly be back. We were created at the door with a nice smile and hello. The server knew how to answer questions about the menu. My friend and I shared dumplings, California Roll, and tuna roll, and the Sesame Chicken. The Sesame Chicken was lighter than other places, which I loved. Everything was awesome and we will return. We go there often. Love it. Staff - great attitude, Setting - perfect, food - remarkable, and clean. We will recommend and return. Thank you. Perfect atmosphere, waitress was amazing, food was cooked just right! Two of our party had food that they did not like. The General Tsao entrée was great. We'll select something different next time. They accommodated our group of 6 who were celebrating the holidays and a birthday. They allowed us to bring in our own cake AND still had a birthday ice cream and sparklers gift for our birthday celebrant. Efficient service, receptive to our wants; not too rushed or slow to deliver food. As it always seems to be, it was first rate. Great server and food, but the food was slow coming out of the kitchen. Excellent, authentic Asian food. Pork Fried Rice is best in town. Bento Box meals are great value and very tasty and well-prepared. Good location, nice atmosphere and easy access. Dinner with friends. Our 4th time at Dao and it did not disappoint! The food is always delish! Always a great meal! Great value!